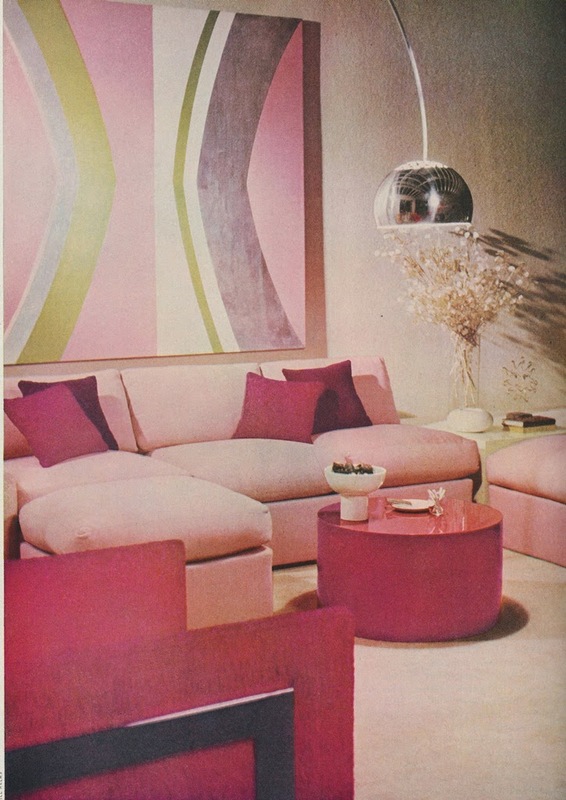 Fabulous designers, but personally the seventies is not a decade I look back on with nostalgia. Perhaps because I have lived through it once. There are so many other eras with beautiful décor, style and fashion to choose from. The beauty of looking to the past is that, as you said, there are so many decades from which to draw inspiration. Jennifer I look at these flooring and carpet choices and they are timeless, some of the colors and elements not so much. In particular Hadley's room could be out of any fabulous shelter magazine today! 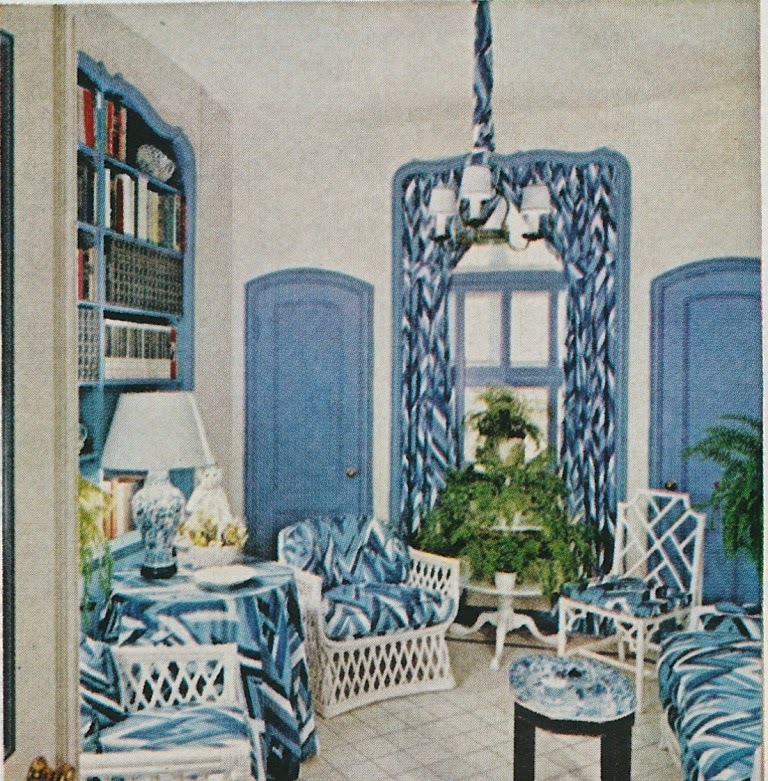 One glance at the Hadley room, and you can see right away how he ended up being considered the top designer in new york for many decades. I was so fortunate to know him, as you did- and to have worked under his assistant, Tice Alexander, who was also a great talent. Through Tice, I met Tom Britt, and experienced a whole other world when I worked for Tom one Summer many years ago. Style and fashion were always important- and Tom's wife Julie was with Harpers Bazaar for a while. The 1970's were when I lived in your city, Atlanta, and studied under Stan Topol, who was also a great friend to me as well as a mentor. 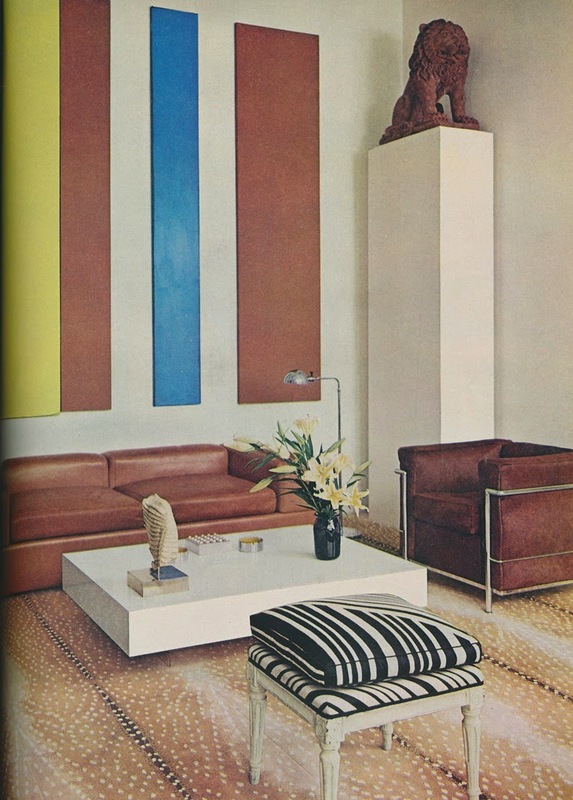 The apartment of Richard Royston was high 70's glamor at it's peak, complete with inlaid black and white chevron floors, lacquered walls, and very eclectic furnishings and art, in a condo on Peachtree in Buckhead. His black Rolls Royce waited in the garage downstairs. Stan was mentored by Billy Baldwin, and how fortunate was I to meet him at the very young age of 17 !!! My poor mother cried when I was left there to fend for myself, LOL. Stan pushed me to move to NYC and the rest is history, only my career was derailed by AIDS and that is very sad. Thanks for bringing back some fabulous memories! Dean, You really were at the heart of things, weren't you. Lucky you! By the way, in which building did Richard Royston live? I agree about the 70's. I was married in 1966 and had my two children in the early 70's, so I was very much of that era, and didn't care for much of it even then. 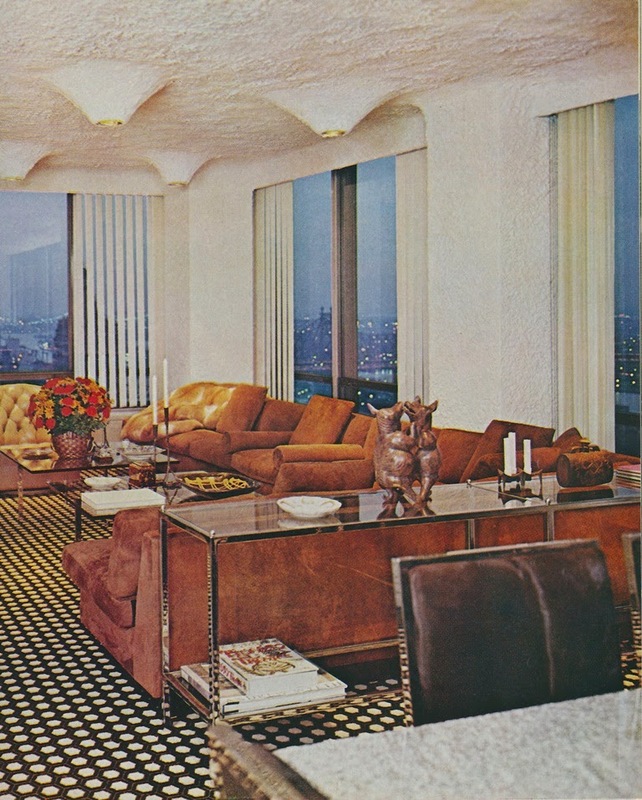 The Hadley room is lovely, and I've always adored that Stark Antelope carpet, but it all looks s dated so terribly quickly. 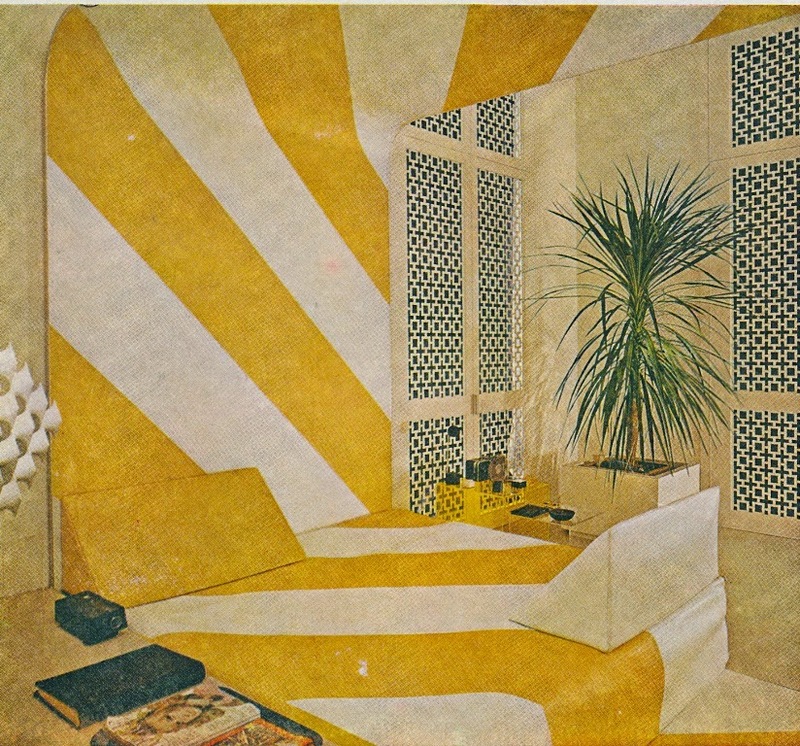 I'm sure it will be popular again, and today's young with money change their decor about as often as their socks - investment decorating is not for them. 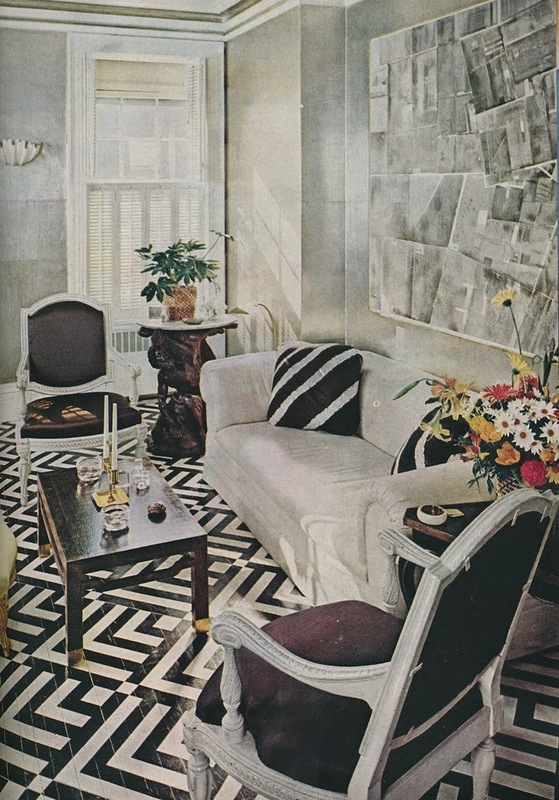 And then, that "Stark antelope-print rug"... YES! 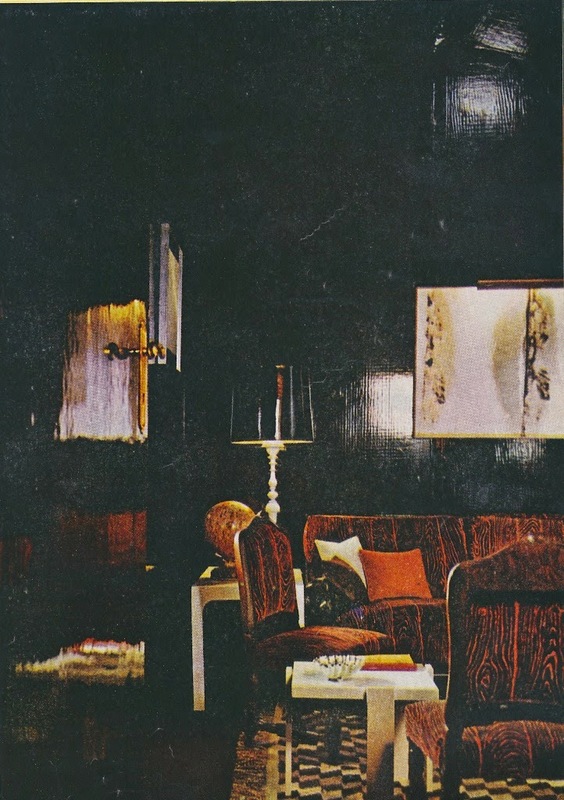 The 1970's were great fun, but I wouldn't want to turn the clock back and revisit that era--- unless it was in Albert Hadley's rooms, which somehow managed to capture the glitzy spirit of the times without the usual tawdriness. He was a genius. 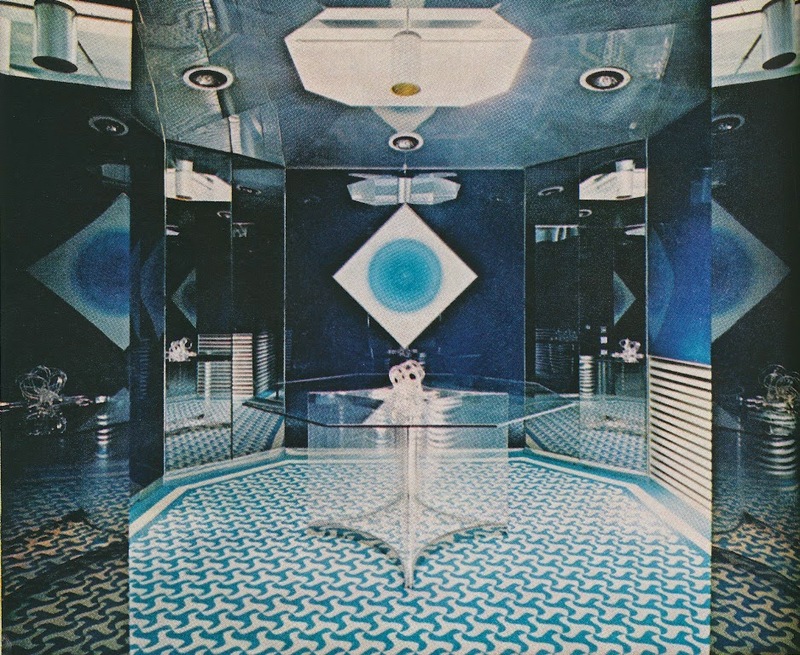 Only the Hadley room right at the top manages to avoid looking completely tragic, The 70s were truly the decade that style forgot and these rooms should remind us that even "great" designers can fall victim to the general ugliness of the times in which they design. Awful. 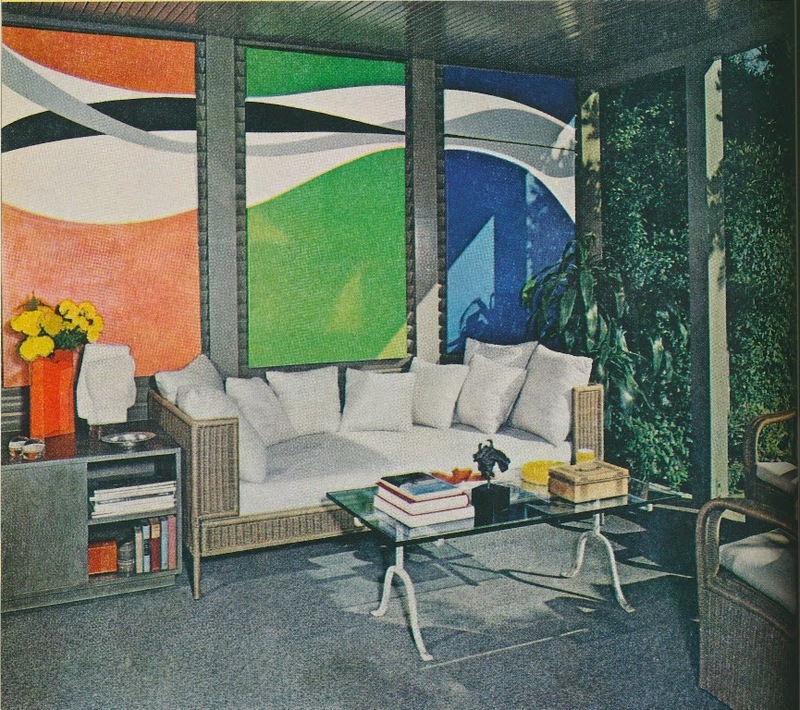 Amazing how most of the rooms, with just a tweak or two, could be in a very stylish home of today. Proof also that animal prints are timeless! Yes, I love that the 70's are coming back! 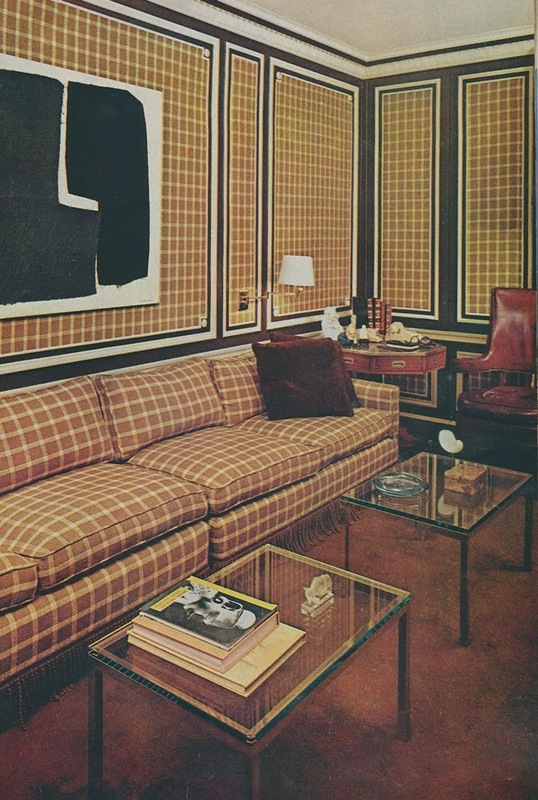 I always loved the retro feel of the clothing and decor at the time. These modern versions are even better than I expected. How did we ever get so conservative?